Su campo de aplicación se circunscribe al Polígono TERCIARIO EN NUEVO BOROX de Borox. 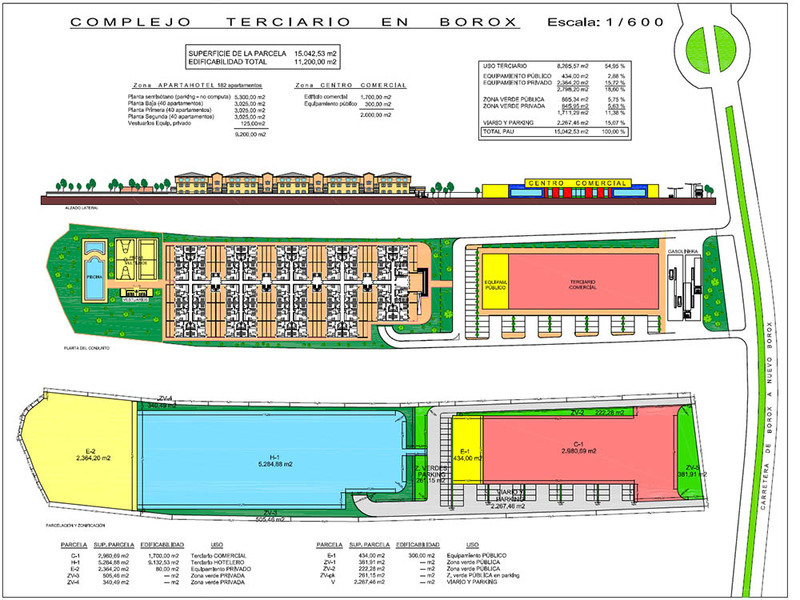 Según estos datos el aprovechamiento total del sector correspondiente al PAU TERCIARIO EN NUEVO BOROX (edificabilidad hotelera + comercial) es de 10.775,00 m2 construidos. 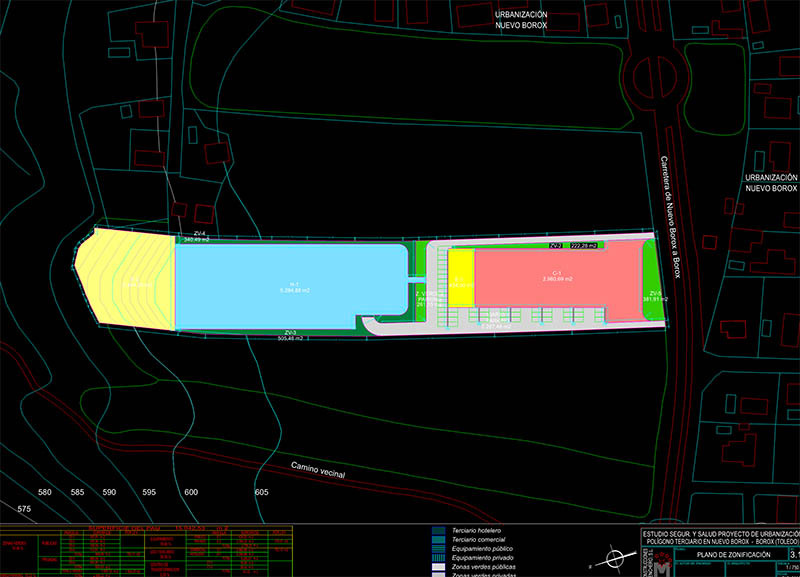 According to these data the total use of the sector corresponding to the PAU IN NUEVO BOROX (hotel building + commercial) is of 10.775,00 m2 built. Its scope of application is limited to the Polygon IN NEW BOROX of Borox.